We all know that the TMA Garden is great place for our kids to get a hands-on learning experience but who knew that it could help contribute much-needed funds to our school programs and services. 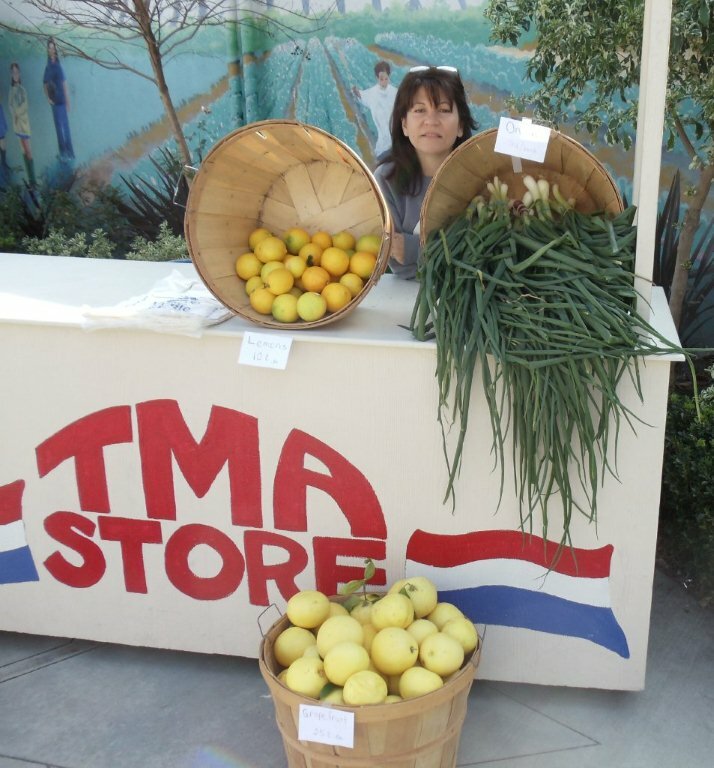 Last Friday Naomi Dei Rossi, a TMA Garden volunteer, set up shop in the Star Terrace. She sold produce harvested from our garden as well as fruit locally grown by TMA families. Over the last few months the produce sales have earned $180 for TMA PTO. “So far this school year, we’ve made $1654.30 in produce sales from our garden…thank you to our incredible Garden Masters, teachers, kids and Naomi DeRossi.” Angie Heaton, PTO Treasurer. This week’s stand featured fresh onions harvested by Ms. Mahar’s class as well as grapefruit and lemons donated by the Maietta Weinberg and Sutcliff families. Naomi is hoping to sell lettuce straight from our garden at the next produce sale Friday, March 11. If you’d like to donate your extra home-grown produce, contact Naomi Dei Rossi. She usually holds produce sales on Thursdays and/or Fridays. I am not available after school on Thursday or Friday’s but I would love to buy TMA or home grown produce to benefit both the TMA PTO and our family. Are there ever weekend sales or other ways to purchase? I would volunteer to run a Saturday morning booth for a few hours. Thanks! Please contact Naomi at garden@mytma.org if you’re still interested in helping out with our produce sales. Thanks for your comment.